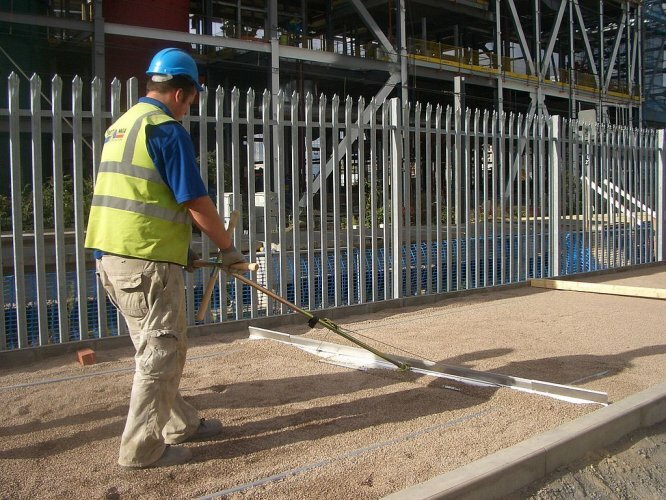 The Probst EASYPLAN EP-UNI is teh essential hand tool for all pavers working on smaller to medium sized projects. The EASYPLAN EP-UNI help you make your workload easier and quicker. Flanged at the sides, heigh adjustable roller units take the height off existing kerbs, paver or similar. This is possibel not only with teh basic element but also with the telescopic elements. No further rail guages are necessary, thus granting additional time saving! Unquie design ensure EASYPLANT does not leave the screeding rails even when working with large quantities of screeding material. The dimensional handle of EP230/300 si adjustable to required angle positioning. With the 900mm EP the screeding material can be carried and filled exactly in to the gaps left by the screeding rails, for example water pipes.